What Are The Biblical Requirements for a Pastor? Today is going to be an interesting Sunday morning in two churches, and I would give my May tithe to be in either New Birth Missionary Baptist Church in Lithonia, Georgia or Empowerment Temple Church in Baltimore, Maryland! Just kidding about my tithe! But seriously. 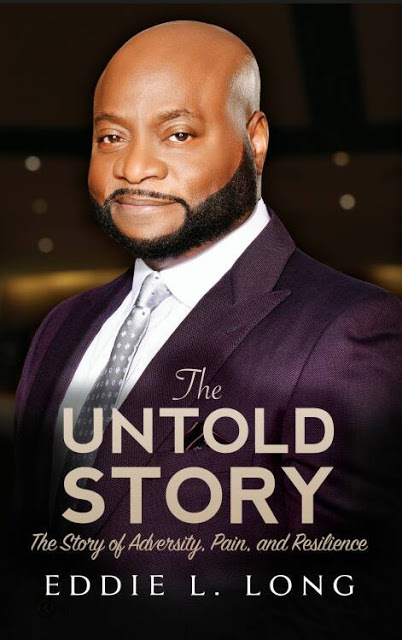 According to Bishop Eddie L. Long’s Facebook page, he will be selling limited copies of his book “The Untold Story – The Story of Adversity, Pain, and Resilience” exclusively after the church’s two services! Can someone get out there to get me a copy? I couldn’t even find this book on Amazon! Is Bishop Long going to address what really happened with those young men who accused him of sexual misconduct as their claims were settled out of court and why he settled? That’s all people want to know at this point! And I’m not going to lie. Am I the only one surprised that he has TWO services to sell books after as well? I don’t know if Bishop Long is guilty or not guilty of what he was accused of but after all that went down(Not to mention that Ephren Taylor II and his Ponzi scheme), I wouldn’t be able to receive Biblical instruction from him, but to each his own, I guess. God is better to me than I deserve…. All these #preacherproblems got me thinking about what are Biblical qualifications for a pastor…Nobody can tell me or you who should be our pastors, but the Bible does tell us the qualities that a good (not perfect) pastor possesses…Below are a few from Acts29.com. To read the rest of the list go, Acts29.com. Those wothout sin cast the first stone! Robert, if you feel as if you are receiving godly instruction at your church, then that is fine for you. Each person has a choice of which church, they will attend and why. New Birth is not my choice for the reasons I stated above. So…Robert, you are willing to go to hell with “your” pastor, if need be? The truth is the light. Stop elevating these demons to “Christ Like” when they are just who we see. They need redemption! God ain’t taking sinners into heaven, especially those who “claim” to be His people, even pastors, teachers…just walk the same path of the ungodly. Sorry, but man hasn’t a hell or heaven to put anybody in, but God’s Word is truth—not man (1 Corinthians 6:9). Those who decide to preach will be held to a higher standard (James 3:1) and will be judged harder. I see nothing wrong in seeking accountability of our leaders – from the President of the U.S. to the church house, from the Supreme Court to the jail house, from the Board of Directors and stock holders to our managers on the job, from the husband and the wife to the children. Accountability is in order ON ALL LEVELS. Apparently, there has been a lack of accountability hence the “fall” these men have suffered. No one is perfect. I don’t expect perfection, but I do expect accountability from ALL. People are too sensitive. She is merely speaking about his book. Why the harsh defensive stand. We all make mistakes is like saying we all breath air. Duh!!! If you place a man of the cloth above God you are wrong. You do this inadvertently when you feel a man shouldn’t be questioned or held accountable for his actions. That’s man, woman, boy, girl, teacher, police officer, politician, custodian, usher, deacon, pastor or pope. Non of us are above being held accountable. Remember that! Finally, a person can murder someone and still be saved…did u know that…so how can you assume she isn’t saved from stating what’s on her mind regarding a book? I think if the church leaders are not held accountable for what they do on a higher standard then society as a whole losses the respect for the roles they play as a leader. To judge and be held accountable are measured on to different tables, the common person is said to be judgmental and figures of authority pursues one accountability. We all have an opinion and due to these mass platforms of social interaction they are seen everywhere. Personally I think the two need to move on to something less visible in life because damage has been done. say as far as the word of God, then that is totally up to you. This is America, FREEDOM OF SPEECH. Just remember we all have skeletons in our closets, some haven’t come out yet. Yep, Gwenn, the word says we have all faltered and fallen short of the Glory of God, but these men are “suppose” to be representing God, our Holy Lord, yet they can’t turn the world lose. Scripture is clear on adultery and fornication and homosexuality. This is a shame before God. And, many people struggle with sin but hasn’t decided to be a leader over God’s church. As Christians, we are called to make righteous judgments. Oh, yes! These men need spiritual help. They need to repent! What a mockery of all that’s holy! Yes, Mirna they are representing God but they are not God. Satan is after them more so than anyone else because they are spreading the Gospel and as we know Satan job is to kill, still and destroy and he will do that in anyway he can and he will surly use one weakness to do so. Fornication and homosexuality is a demonic spirit and it can destroy anyone, as Christians we should be praying for one another bearing each other burdens when things like this comes out. What makes a mockery of all that is holy is when Christians only have negative things to say about one who has fallen short instead of lifting them up in fervent prayer. I am adding my two cents, first of all no one is without sin if that would have been the case Jesus would not have died on the cross. Some sins are known and there are unknown sins, meaning only you and God knows what that sin is. We all have to work out our soul salvation, I am not justifying anyones sins but where a lot of people go wrong is expecting ministers to be perfect and without sin because they are men of God. People place expectations on ministers that are impossible to meet in the flesh. I can go down the list of men in the bible who fell short but God still used them. David fell short, Moses fell short, Paul fell short and the list goes on. We need to stop expecting ministers to be perfect because they are like everyone else human. It is not about the messenger, it is about the message. Yes we all have sinned but the bibles say turn from your wicket ways and repent. You don’t continue to set bad representation for the people to follow, or you send them astray. The pastor smoke weed, so he is sending a message that it’s okay to consume drugs, the pastor father’s children out of wedlock, he’s sending another false message. It’s all about practice what you preach, pastor’s set standards for their follower’s according to scripture, which is the word of God. They should also live up to the same standards and if they can’t they need to step down and let someone who is closer to the Spirit take the position. If they were in the Word like they claim and praying consistently like pastors , they would not continue to fall victim to these types of sins. I remember being in the Word every day and working in the church 4 times a week and no devil in hell could touch me but soon as I stop reading and being close to fellowship, I began to sin and accept anything outside of God. This is some bull to except their behavior and wash it under the rug, they chose to accept the position of leadership and there are consequences that come along with the status. It’s not for us to give our personal opinions, because the Word of God covers all of these issues, God has accountability for Pastors and if they can’t handle the heat, stop receiving all the free food and get out the dam kitchen! I’m not letting anyone lead me astray and that’s why I study the Word for myself, church is just supposed to confirm what you already know. However, if the head of your sanctuary is not lining up with what you know to be true then you must kick that fool to the curb because he needs more learning and is on the same level as you. I want a teacher that decipher what I might be confused about or not understand but not someone who is still struggling like my sinful behind. I am just keeping it real, yes they are human but be that way, away from the pulpit, not in the pulpit. Exposure is their punishment because the bible clearly states that anything done in the dark will surely be brought into the light. It’s not about them being in the public, it is God exposing their dirty deeds while they call themselves men of God! I will leave it at that! Stephanie, well said, my dear sister in Christ! How can can u just support Eddie lon for what he done to these young men, who were old enough to know better but in the mean while was entice by the things he that he could do for them. Maybe we can forgive him, but God will be the one to judge him he will answer to what he done. If he had an affair with a women on his wife would be one thing, but to walk around like all buffed up like a black greased up monkey messing with young men is so wrong. Now he’s writing a book. Who the he’ll wants to read it! GOD FOR FORGIVE ME FOR FEELING THIS WAY BUT NO RESPECT FOR HIM! People, people, let’s get serious here. When what you do spreads to others God will expose it. When things are done in darkness out of site God will expose it. I’m so sorry…for all the New Birth members, I will honestly prayer for Bishop Eddie Long, I truly will. However you must understand that he is reaping the harvest of his sin in due season. . Having never confessed it as a leader and shepherd of the flock, God will expose it. So enough of the back and forth and whose saved and who isn’t as we have bigger fish to fry. There are Christians dying overseas, there are believers being persecuted here. Our rights are being snatched from under out feet. Sinful curriculum is being pushed to our kids before they can barely walk. The last thing we need is the be clueless amongst each other as to how the hand of God moves, how His voice speaks, and what His word says. Our Generals are under attach (what a surprise). They have people praying for them but everybody that should be praying is not. If it’s you, fix it please. If it’s not then carry on. But we need to address it. Let please watch what we say over social media. Stop giving the enemy ammo please. Also when a man or woman of God is put in the position or place that belongs to God and not that of a messenger certain attacks are activated. Attacks meant to be absorbed by God instead are directed towards the person put in that forbidden place to do so. Which is why they fall. Yes there are trials, there are test and there are attacks that come with the this sanction (ministers, pastors, bishops) BUT some of these attacks are due to us placing them out of position. The sad thing is that at least 4 people will come back and tell me about myself and use a blanket statement to basically tell me to go to hell instead of using this as a “Sound the Alarm” moment and coming together. I am not sure what happened between the young men and pastor Bishop Long. We need to follow that facts and that will be our answer and the true.